Everybody says that money can’t buy us happiness; however, when most people think of development, their minds jump to money. For a long time, economists have focused primarily on GDP to measure the development of a nation. It was not until the UN released the first Human Development Report (HDR) in 1990 that another tool came to light. The first HDR focused on the well-being of the population as an indicator for development rather than just the economic growth of the country. As a result, measuring the happiness of a country has become the latest trend. 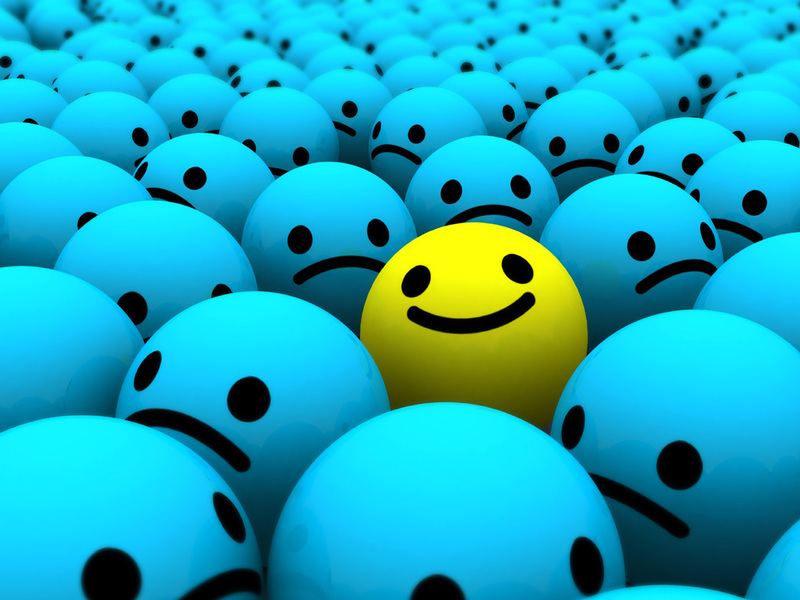 Happiness is not something typically equated with policy, but it seems to be all the rage right now. In Bhutan, there’s a Gross National Happiness Commission which puts out annual measurements of gross national happiness (GNH). Bhutan’s Prime Minister proposed adding a ninth goal to the Millennium Development Goals (MDG): to improve happiness. Gross National Happiness? It all seems a bit Nick Jr., but maybe there’s something there. In 2010, British Prime Minister David Cameron, asked for a survey to measure the happiness of UK citizens. This may all seem a bit silly at first but let’s think about it. A person’s happiness is dependent on a number of factors: job security, access to education, health, etc. The achievement of these factors is greatly affected by the general state of a nation. 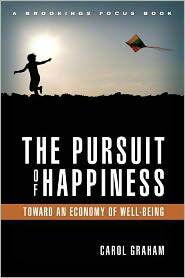 At a recent panel hosted by the Brookings Institution, Carol Graham discussed her new book The Pursuit of Happiness. The book proposed different indicators of happiness and their ability to shape policy. Her research, unsurprisingly, shows that happiness is influenced by factors like education, health, and employment. In addition, people are able to adapt better to times of unpleasant certainty than times of unpleasant uncertainty. Meaning, if things are already bad, people are able to remain resilient and positive in times of trouble. However, if things are typically good, when something bad happens unexpectedly, it causes people’s happiness to decrease. This is where development comes in. In the preface for Happiness Around the World, Graham explains that this can backfire on a country as “it could result in collective tolerance of a very bad equilibrium.” Societies need a “rude awakening” in order to realize injustices and failure. This takes an obvious paternalistic view of development: “You don’t know what’s good for but I do so I’m just going to fix it for you.” The paternalistic nature of development can lead to good intentions resulting in not exactly good outcomes, and good intentions aren’t always enough. This has been brought up in countless arguments about aid (two great sources are here and here). What good do our intentions really do when they leave a country in a worse position than when it began? When the topic of paternalism was brought up in the panel, Isabel Sawhill, a Senior Fellow at Brookings, pointed out that in pursuing development, a massive responsibility is taken on. Consideration needs to be taken in how this “help” will affect a country. If an approach does not work, should the country be left to fix itself, only to later receive the “you don’t know what’s best for you” attitude? This brings to question what kind of role happiness can have in development. Happiness is a good indicator of the well-being of a country, but what about countries that have different indicators for happiness? What is the donor nations’ role in determining who needs help and who doesn’t, especially when GDP alone may not be the best indicator?